I'm really excited to be sharing another personal project with you. 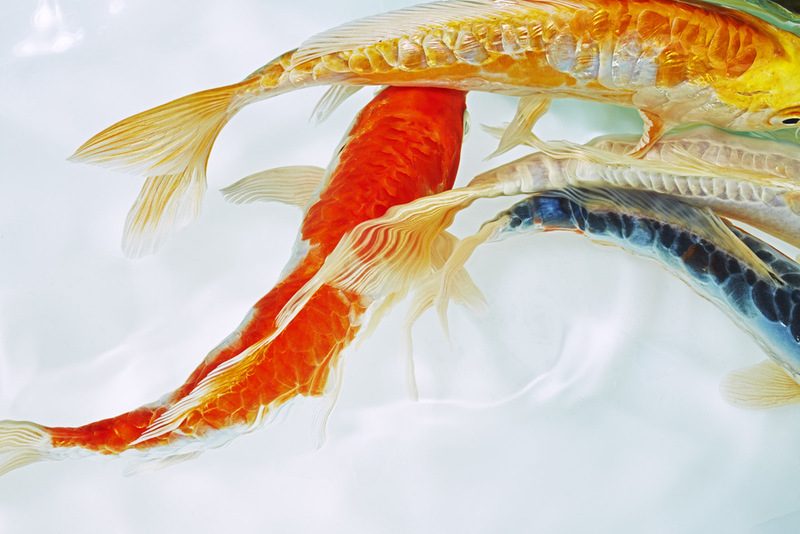 I've always been fascinated by traditional Japanese art motifs particularly the paintings of graceful birds and koi carp. 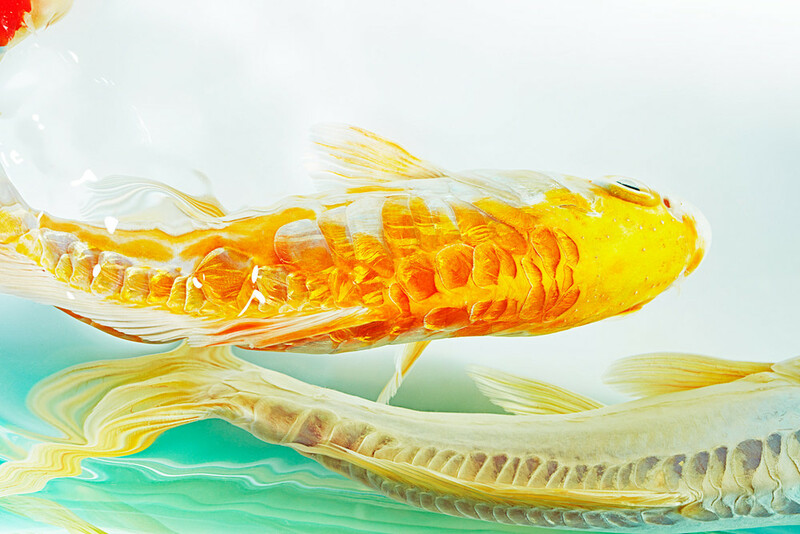 I started researching the variety of koi breeds and got really inspired by their iridescent scales and patterned markings. I had to get some in the studio! When you bring any creatures in to the studio, particularly aquatics, you've always got to allow room in the ideas for the unknown, those chance twists in the water. On this shoot it was the ripples on the surface that gave us our added bit of magic. As soon as we saw it on screen and the painterly effect it was giving us, we knew we had struck on a shoot to be really proud of. 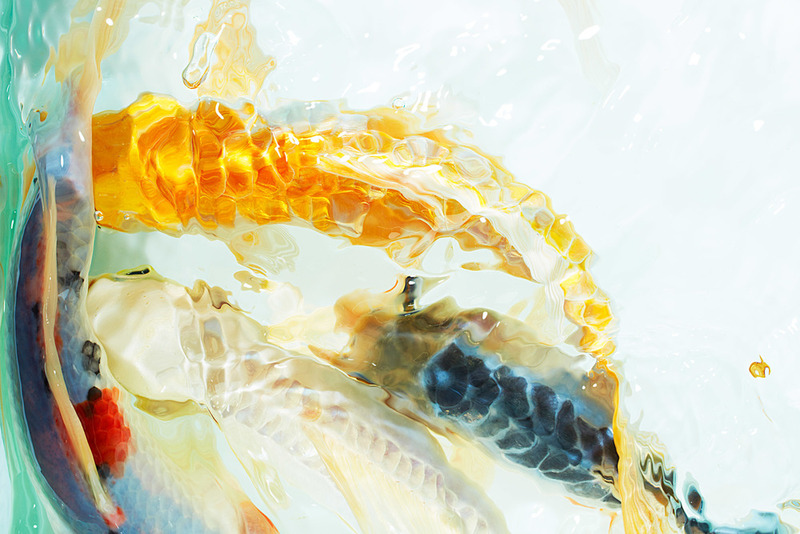 'Koi' is the latest creative collaboration between myself and Emma Taylor. 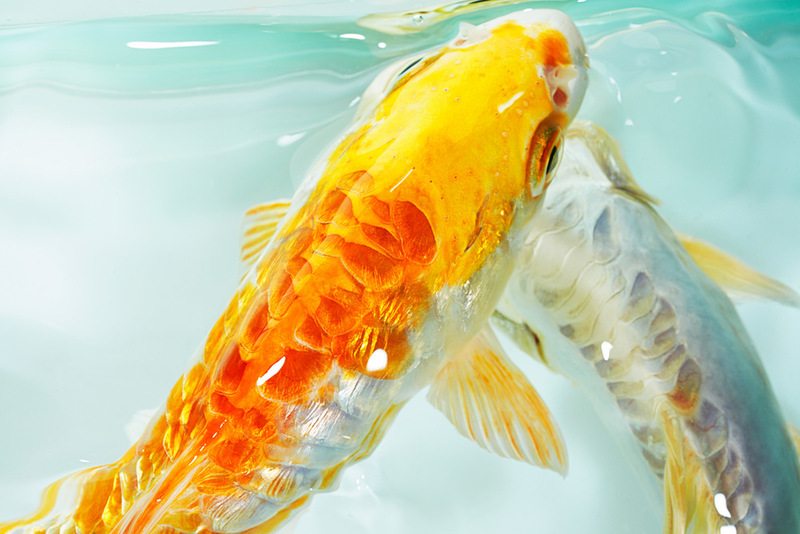 Huge thanks also to esteemed animal handler, and our friend Mark Amey for bringing such beautiful Koi along to the studio.